Another Healeys produced book has won an award. 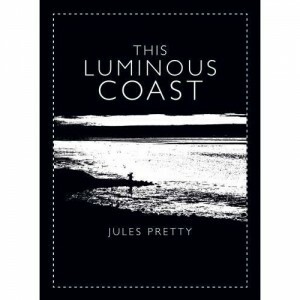 This Luminous Coast, published by Full Circle Editions, has taken the top step at the New Angle Prize for East Anglian Literature award. The Cookhouse Restaurant just outside Ipswich, with its stunning views over the River Orwell, was the appropriate setting for this year’s awards in the prestigious competition to find the best of East Anglian inspired literature. The author of the winning book, Jules Pretty, received a £2,000 prize. On behalf of the panel of judges, author Esther Freud explained their choice referring to ‘the exquisitely written examination of the changing landscape of four hundred miles of East Anglian coastline. It gives you stories as vivid as any novel, and ruminations as thought provoking as philosophy’.